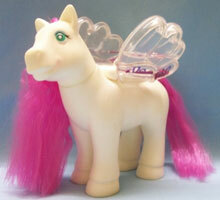 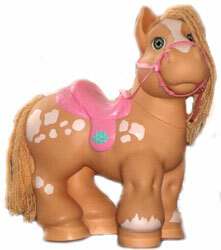 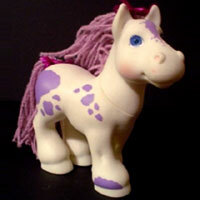 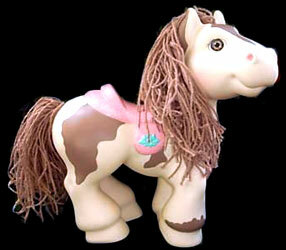 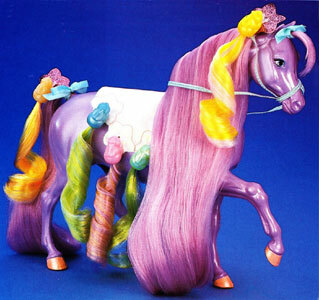 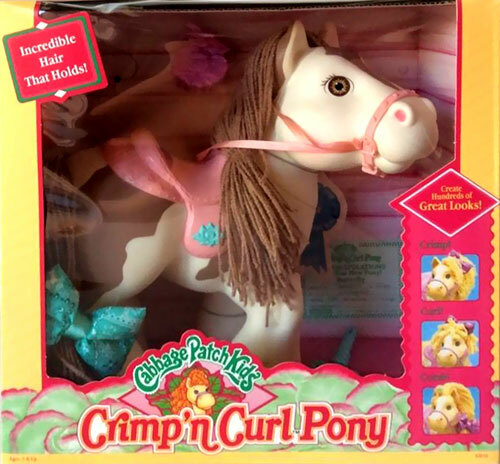 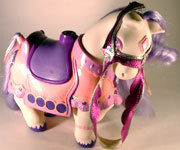 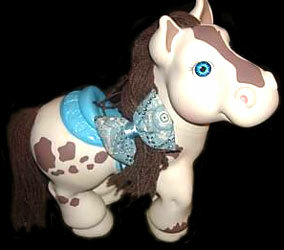 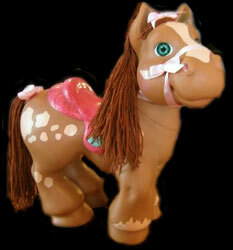 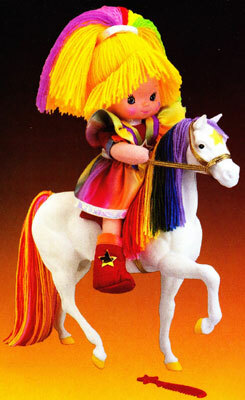 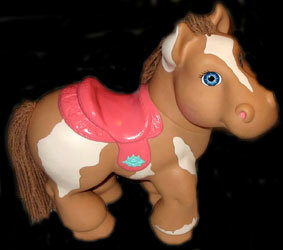 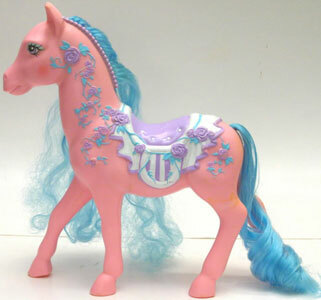 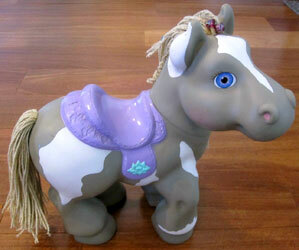 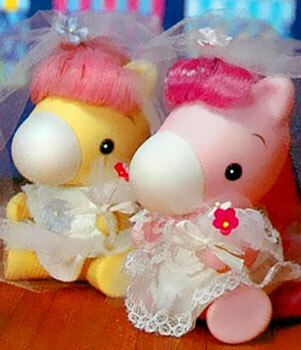 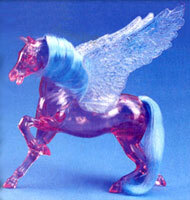 Crimp n' Curl Pets & Ponies were produced by Hasbro in 1993 and were part of the Cabbage Patch Kids line. 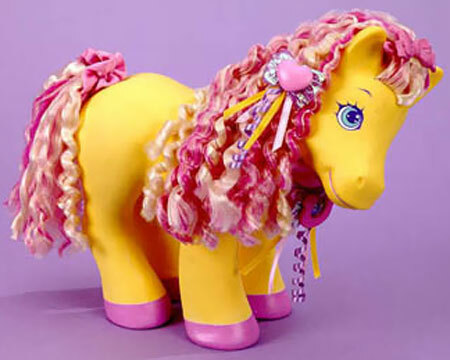 They had waxed yarn hair which could be styled, and the ponies (precursor to Magic Meadow Ponies) were big enough for a CPK to ride. 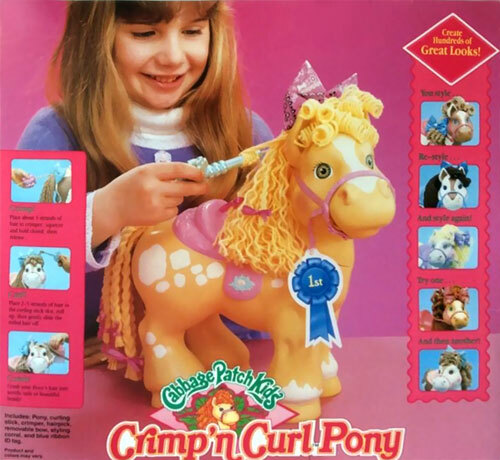 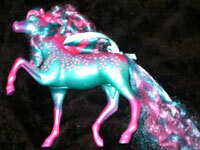 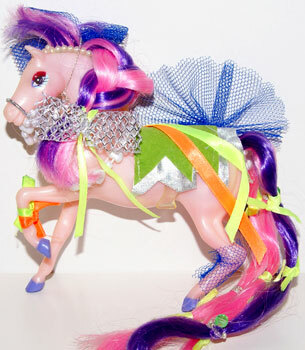 View all Crimp n' Curl Pets and Ponies on eBay.com or eBay.co.uk ! 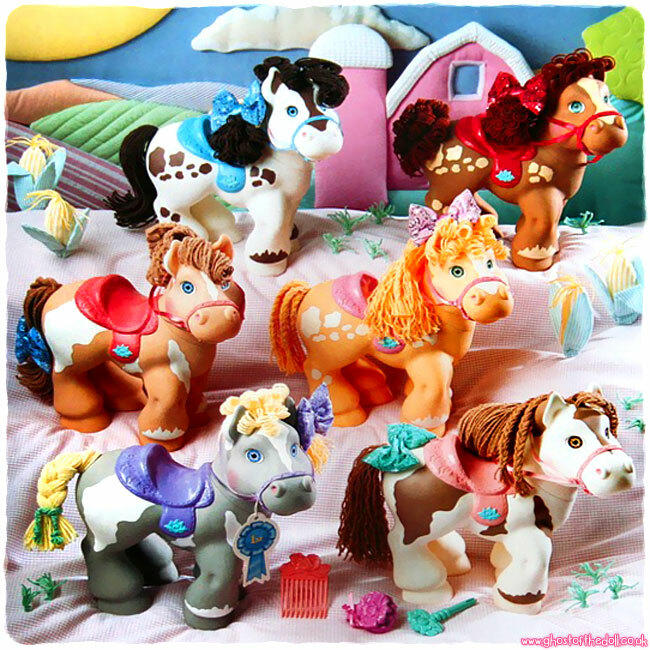 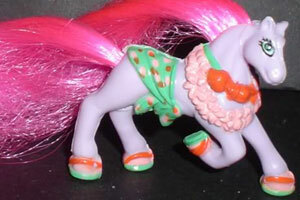 There were six different ponies produced using two different body patterns. 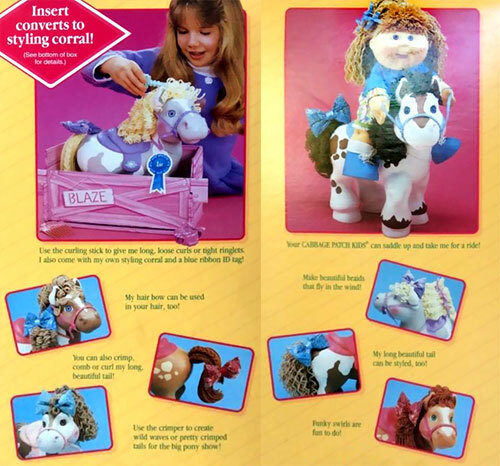 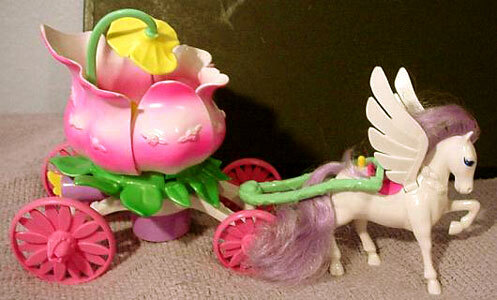 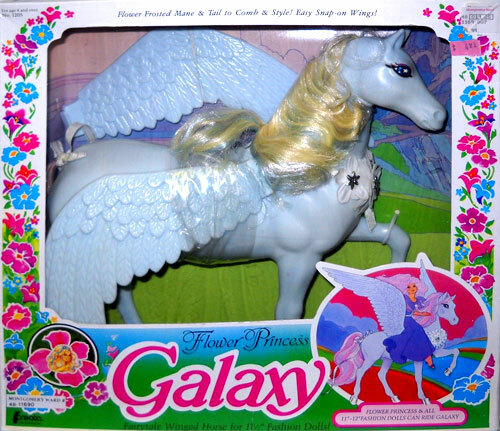 This is the front, back and both the sides of the box the ponies came in. 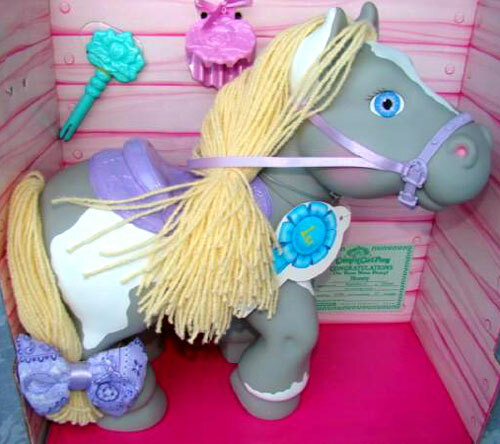 The box inset converted into a stable.